Agents are users who are tasked to retail vend services directly to consumers. Click Agents from the green top bar menu. Click View from the popup menu that drops. From the top right corner of the page, click Add Agent. Name – This will be the name that will appear on receipts. Country – This is so we show you only services available in your country and also to deduce your currency of operation. Wallet – This is the Wallet assigned to Agent to Sell. 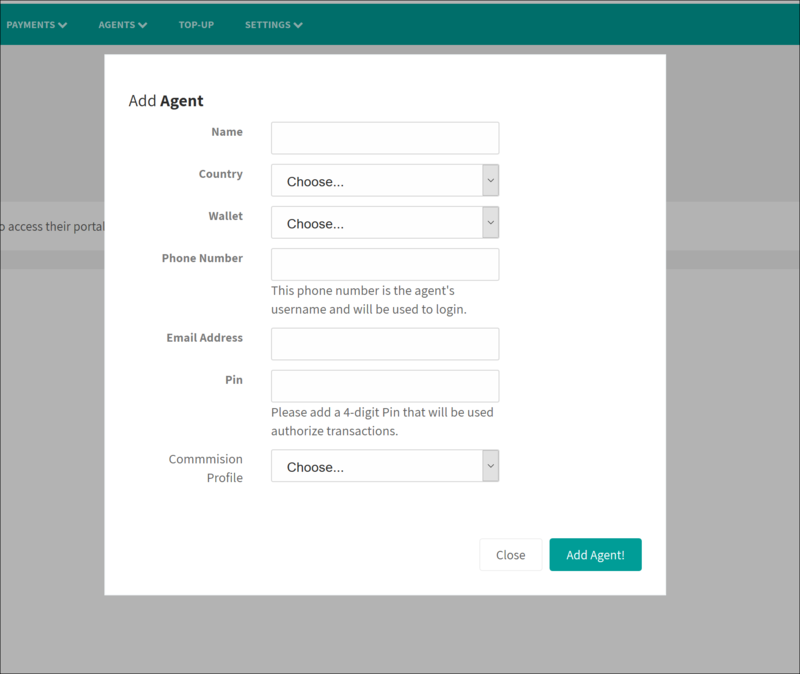 Phone Number – This phone number will be the agent’s username to login into the agent’s web app. Email Address – Here, you can put in the user’s email address if you’d like. Pin – Specify a four (4) digit PIN for the agent. This will be the PIN this agent enters when they sign into the agent’s app. The agent can change this themselves later by navigating to Vend Agent App -> My Account when they’re signed in. Commission Profile – This sets how much commission this agent will be receiving for selling vend services. You new Agent can now login to https://www.hvend.com to start selling. Note: Agents are only added to accounts from the WEB app. Only the account type Reseller, can add agents.